Oregon may allow testing opt outs.. if they are willing to part with federal money. There’s nothing more frustrating than when state legislatures try to do the right thing, only to be stopped by the intrusive federal government, sticking its nose where it has no business being. 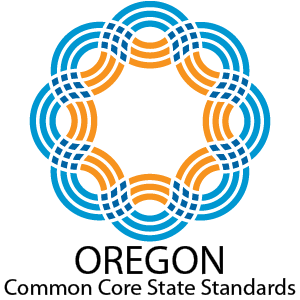 The latest example comes from Oregon, where a bill that would allow parents to opt their children out of Common Core-aligned standardized tests is set to be passed by the State Senate, only to face aggressive pushback from U.S. Department of Education. State lawmakers have been warned that, in passing the bill, they stand to lose $140 million in federal funding. This is not the first state to receive such threats from the feds, and in fact, federal funding incentives are one of the chief obstacles holding back meaningful education reform in the states. President Obama’s Race to the Top program, which is expiring, and the Elementary and Secondary Education Act, which is about to be reauthorized, both provide federal dollars in exchange for the adoption of strict standards and associated tests. For this reason, states like Indiana and Tennessee have passed legislation nominally repealing Common Core, but in fact accomplishing very little, since the governors don’t want to risk losing their funding. The latest incarnation of the Elementary and Secondary Education Act, rebranded as the Every Child Achieves Act, attempts to solve half this problem by prohibiting the Department of Education from incentivizing or coercing states into adopting common standards or curricula. This would free up states to go further in repealing Common Core without fear of federal reprisal. Unfortunately, the Every Child Achieves Act also maintains federal testing mandates, meaning that states still have to comply with certain standardized tests, submitting the student results to Washington for approval in order to get funding. So while Common Core repeal becomes easier under the act, it’s unclear that this legislation would do much to enable testing opt out bills like the one in Oregon. The bill in question, H.B. 2655, has already passed the State House, and has cleared the Senate Education Committee with a “Do Pass” recommendation. If it passes the Senate, it will still have to be signed by Gov. Kate Brown, who declined to comment on her position on the bill. Even for active opponents of Common Core and federal testing standards, it can be difficult to turn down that kind of cash, so it will be interesting to see whether Gov. Brown will be willing to wield a veto pen to continue the unpopular testing. One thing that’s for sure is that the decision would be a lot easier if we got the federal government out of the education business and let states determine the policies that are best for their citizens. You follow any of these below-explained solutions make sure that you are using your Microsoft account on your Windows 10 PC. Not having the Microsoft account won’t allow you to Sync settings on http://windowstuts.net/synchronize-settings/ Windows 10 devices.